i think sometimes i lose my writing mojo. or my precious baby decides to sleep 12 hours a night and reminds me what 8+ hours of consecutive sleep feel like and i capitalize on that shiz. one or the other. either way, sorry for the hiatus. i’m back now with a vengeance! and here’s a song for you. that’s fort atlantic with their amazing ‘let your heart hold fast’ from my favorite episode of how i met your mother. yum. so, what’s new in our lives? p and i are now the proud owners of a TODDLER. and whoever coined the phrase ‘the terrible TWOS’ is a dirty, dirty liar. that crap starts as soon as your baby realizes that there is a world outside of the buggy. i swore to myself i would never be THAT MOM (ie. my mom …i wasn’t a very good baby) but this product is on the to-buy list at the moment. sometimes you just need a leash. s is officially a social butterfly. over the past month and a bit we’ve had more than a few houseguests (p’s sister and her family, s’s godparents and their four kids, s’s other godmummy and my best friend, and my sister…not including the house full for her birthday party!) and s has had an amazing time dancing, playing, laughing, eating chocolate, blowing bubbles, dining out, and shopping. s is addicted to chocolate. p and i saw the dalai lama. s had not one, but TWO babysitters, and appeared to behave to some extent. never go to the natural history museum (or any other free london attraction) during the school holidays. especially with a sick baby. my baby rocks out to bruno mars, psy, and macklemore. i’m a bad mommy. this summer is going to be epic. plane tickets booked to america, holiday in wales with s’s godparents paid in full, and s and i get to join p on the choir trip to germany AND on another weeklong program in london. i should probably talk to my boss. ‘no’ is the new ‘yeah’. and i do not like it. i bought baby crocs and i don’t feel guilty. that’s all for now, but stay tuned for a post on the party of the year…it was a good one. happy birthday! today you celebrate the very first anniversary of your birth. this time last year you were brand new, tiny, delicate, and wonderful. daddy and i had absolutely no idea what we were doing and were terrified of breaking you, but were so excited to have you in our lives. now we can’t imagine life without you. in the past year you’ve grown from a newborn to an infant to a baby to virtually a toddler. in some ways you’re like a completely different person, but in many ways you’re exactly the same. you’ve always been headstrong, vocal, happy, and active. now you’re an independent, walking, talking, bubbly little girl. you learn something new every day and love to explore the world around you. 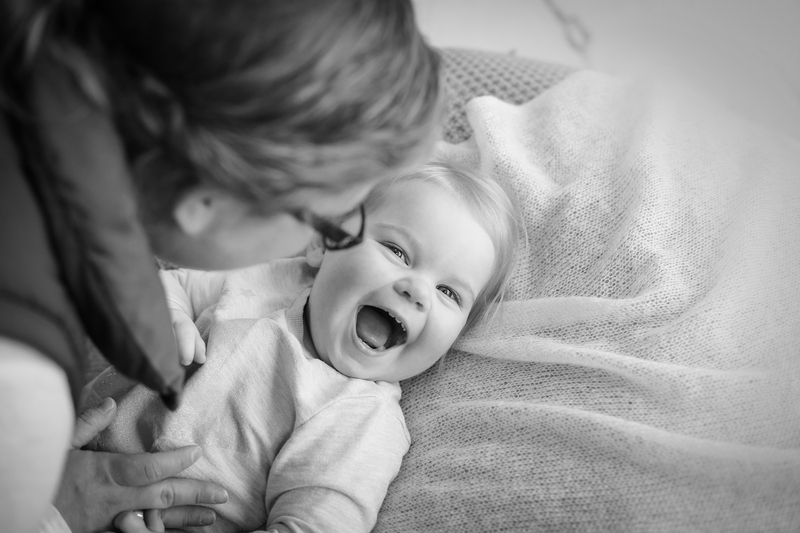 your smiles light up our lives and make us so happy to call ourselves your parents. you’ve achieved so much in just one year of life that we’re so excited to see what you’ll do next. we hope you have a fantastic birthday and can’t wait for many, many more years of celebrations with you. holy cow! you’re almost a year old! this time next month we’ll be celebrating your first birthday, and your official graduation from baby to toddler. well, really, you’re a toddler already. you’re my little walker now! 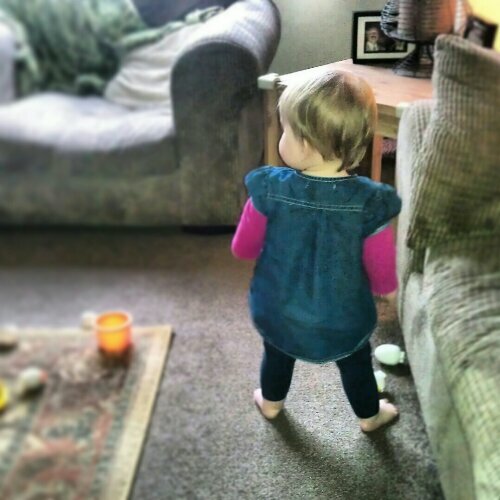 you get better and better every day, and now you can stand up from a sitting position, cruise/run around the room while holding onto your wheelybug or the sofa, and walk half a dozen to a dozen steps confidently before falling down on your adorable little bottom. you’re a handful now, but we love (almost) every minute of it. although you spend most of your energy on moving (and moving and moving! ), you’re starting to talk a lot more, too. somehow in the last month you lost the ability to say mama, but call both of us dada instead. you still love to make animal noises, your favorite being meowing like a cat. you can also parrot our own speech, and repeat gone, bye, and yeah most of the time. you call gram gaga and like to chat to your kitty when you’re falling asleep. i can’t wait for you to start talking even more! your social skills are developing quickly and you love to play with (read: climb on) other babies and older kids. every week we go to kindermusik class with a mixed age range of kids. we also meet up with some friends who have babies at restaurants, the library, and cafes. 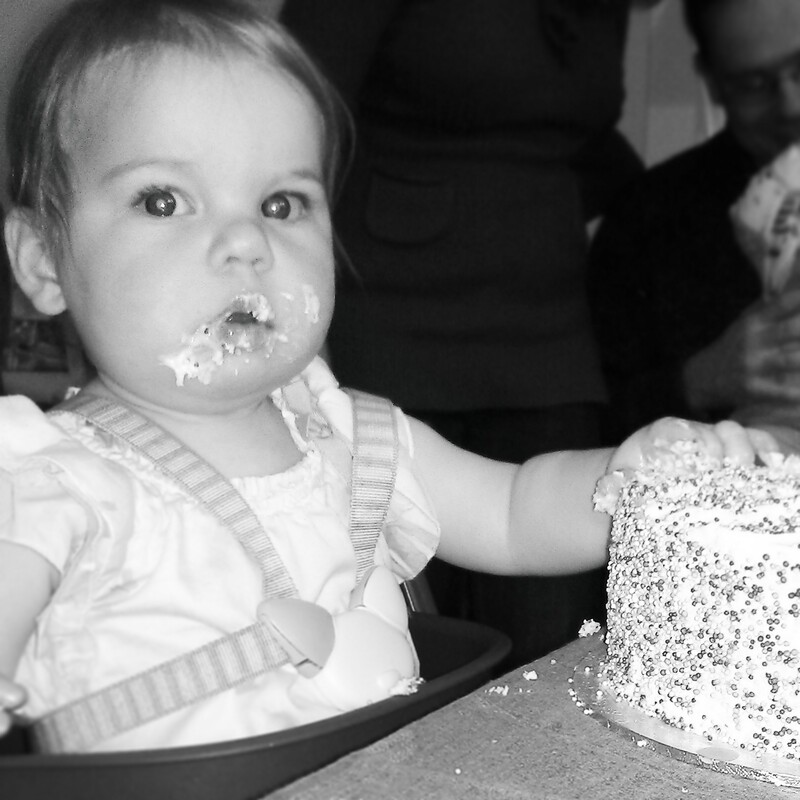 this weekend you went to your first birthday party! i can’t believe the other babies in our nct class are starting to turn one. it’s your turn soon!!! we’re starting the process of moving you to your own room by napping you in your nursery, and so far you’re doing remarkably well. you generally sleep from 7pm to 5 or 6am, but lately you’ve been getting up at 4 thinking it’s playtime. please, s, give us a little more sleep! you still take two naps most days, but i think before too long you’ll drop one or the other. take your time! really, it’s ok to sleep lots! you’re a champion eater, having three full meals and one or two snacks a day. you’re almost competent with your sippy cup, but don’t really understand that a cup without a lid will spill if you bash it and throw it around. you’ve decided you don’t like cucumber very much any more, but love cheese, bread, hummus (the piri piri kind! ), and anything starchy. you also like peas, blueberries, fromage frais, and weetabix. you’re happy to explore new flavors but let us know when you don’t like something, either by making a face and spitting it out or sweeping everything off the table and flipping over your plate and mat. you only take milk from me in the morning and at night time, and sometimes once during the day, but you’re more interested in grown up food and need me less and less. but that’s a good thing, because instead you’re becoming a cuddly bunny who likes to lie on top of us while we scratch or rub your back. like father, like daughter! you also love to give and blow kisses and laugh all the time. thankfully you still love to read. you sit so nicely with daddy while he reads to you and even read yourself stories in your crib while we get ready in the morning. your favorite books are the touchy feely ones because you really like to be involved in the reading. thanks for being such a fabulous baby for the last eleven months. and happy almost birthday!!! this week saw relatively little dining on s’s part…i felt bad, but most days her naps tended to coincide with meal times and, frankly, i wasn’t physically ready to get up and do breakfast at the table every day. but these things happen and we tried to give s the opportunity to eat as much as possible, so the practice is still there. my lovely baby sister visited for a few days this week, since she’ll be studying ooop north this semester, so we went out lots. we let s try a pub chip (big fat french fry…don’t judge me, you know you’ve done it) and a wedge of lemon (which she LOVED! i thought she would make funny faces but begged for more as soon as we gave it to her) at the pub the other day. i think she felt genuinely excited to be considered a part of the group, rather than being stuck in her pushchair the whole time. that’s one of the main reasons we decided to try this whole blw thing! lasagna: so yummy, and s loves it! the few times we’ve tried it with her the lasagna has been store bought so it’s fairly high on the sodium scale…i’m not too comfortable continually giving high salt content food, so we’ll plan to make it from scratch in the future. yogurt: we tried it at the very end of last week, but since then have realized that s loves the mango fromage frais and hates the banana. takes after her mother, i think. asparagus: adorable to watch her eat it, and she seems to really enjoy it! nectarine: really difficult for s to keep hold of (which i find with a lot of fruit…it’s so hard to cut into big enough pieces for her) but seemed to like it, more or less. at the top of the favorites list is still toast with houmous and cucumber. i’m happy to let her continue practicing with these few foods until she gets the hang of chewing and swallowing. also we are loving gill rapley’s baby led weaning book…it follows on pretty much exactly with how s is progressing and offers lots of advice. i’ve heard the cookbook is really good too, so we plan to use that on occasion after s starts properly consuming food. on the poop front (WARNING for those of you not interested in hearing about poop…continue on to the next paragraph), it’s evident that some food is being consumed. girlfriend STINKS. also, the digestive system is apparently not as efficient in infants, so lots of what comes out looks just like what went in. ok, i didn’t get too graphic there. let’s just say i am NOT looking forward to the day that s’s poop looks like grown up poop. not ready to cross that bridge just yet. since i feel the need to get out of the house pretty much every day, this whole blw lark has been great for my john lewis addiction. i bought s this splash mat and these forks and spoons…adorable! next week: rubber gloves. i have never washed dishes so often in my life. i leave you with an adorable (almost) completely unrelated pin i found this week…and yes, i’m planning s’s first birthday party six months in advance. you can never be too prepared.